This is a cute and useful little project you can do with your kids in preparation of your Disney trip! 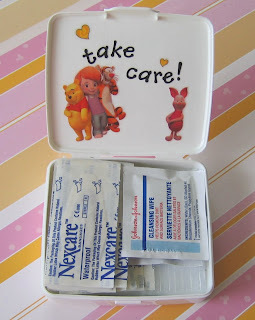 Keeping a first aid kit in your tote will make it so much easier to take care of minor booboos while you're enjoying the theme parks. 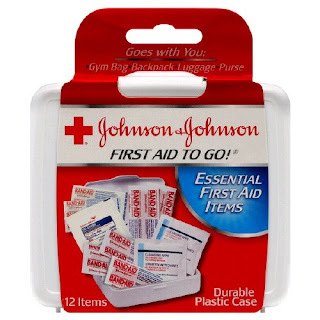 With your own stash, you can avoid dragging everyone along on a trip to the first aid station to get one Band Aid. 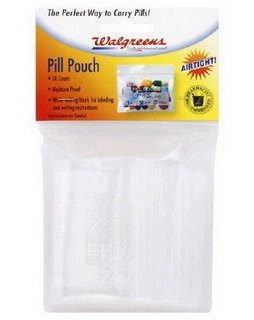 Walgreens sells these cute Johnson & Johnson First Aid kits for $1.99. I chose them because they are small and easy to tuck into a purse and they are so inexpensive that I probably wouldn't be able to put one together for that little cost. They have a few different sizes of Band Aids, a couple alcohol pads and gauze. I traded out the Band Aids for some cute Disney ones. Of course, I couldn't leave the little kits nekkid. (It is Disney, after all.) Everything is more fun with a little embellishment! So, I used some Disney and letter stickers to decorate them, then sealed them with a piece of self-adhesive laminating sheet. Click on the photos to enlarge. Here's another cute idea: Buy a Disney coloring book and scan in a page, then shrink down the image to fit the front of the kit-- about 2 1/5"x 3". Let each child color their own little drawing, then, glue it down, add your child's name with letter stickers and lastly, cover it with a piece of laminating sheet. cute! I need to carry a first aid kit in my purse and a better one in my car - I'm a bad student nurse. I can give you my extra Tinkerbell bandages. that's really all you need. 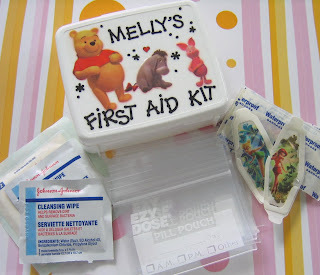 That is a great idea....I'm seem to always need a first aid kit. I hope you have a wonderful Easter. I love this idea even for everyday "boo boo's"! 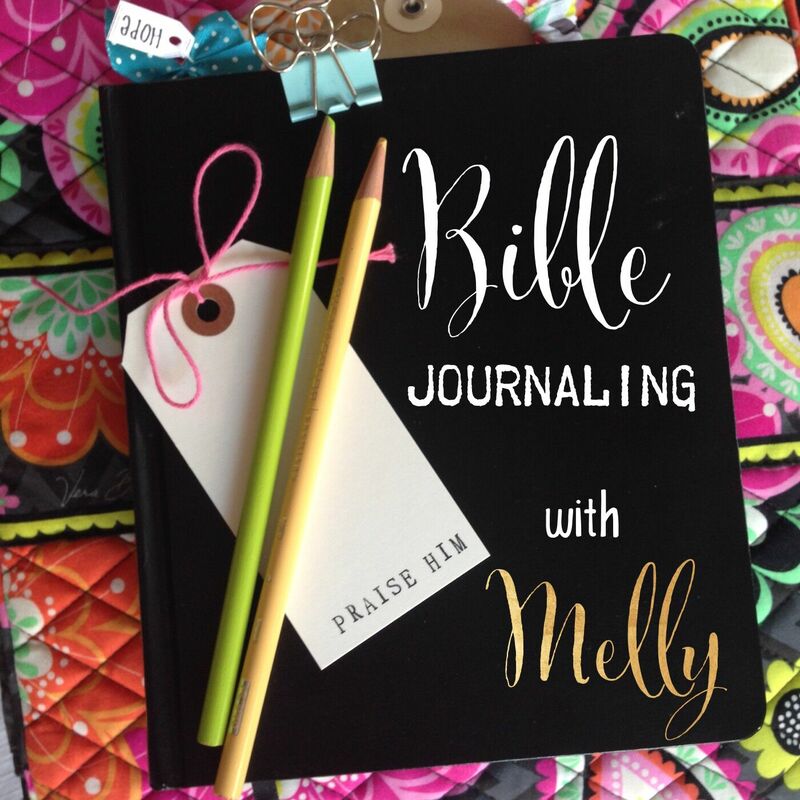 Congrats on being featured on Tip Junkie (that's where I found you).